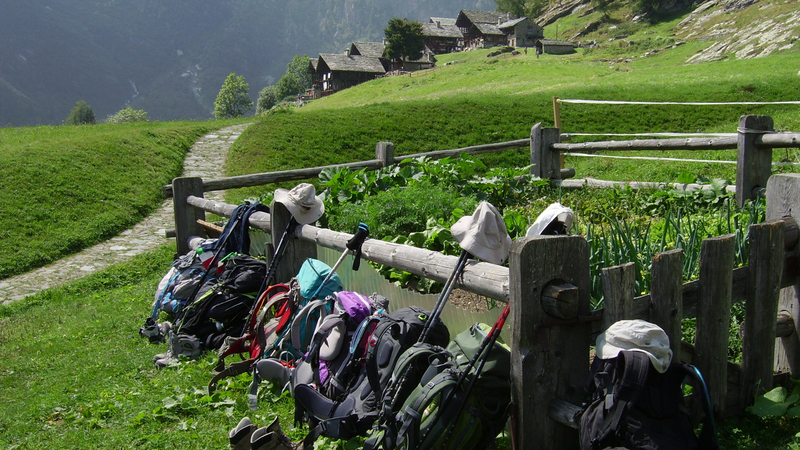 The wonderful trekking “Tour Monte Rosa – Matterhorn” is a great experience around the “Queen of the Alps”, Monte Rosa, walking along the famous Matterhorn trail. 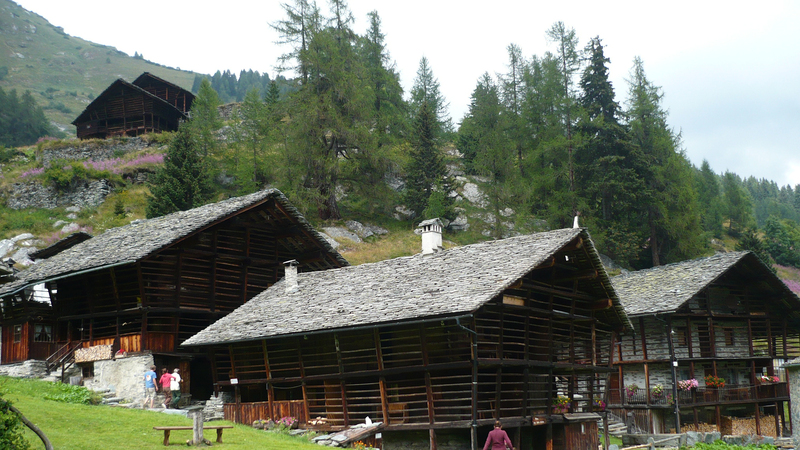 Zermatt and Saas Fee in Switzerland and Alagna, Macugnaga, Ayas and Gressoney are some of the lovely Italian villages you will visit. 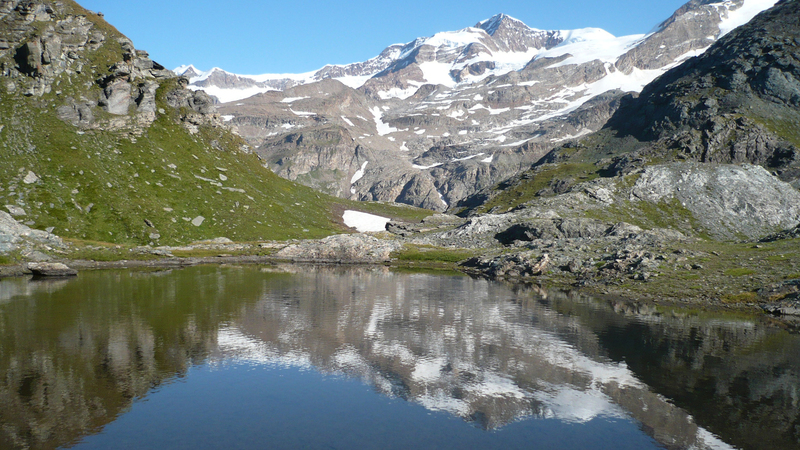 This well organized six day Tour Monte Rosa – Matterhorn will allow you to admire the beautiful valleys from a vast array of summits above 4000 meters , known as the famous Four-thousanders. 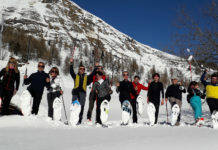 You will also stay in typical mountain huts (“rifugio” in Italian) and comfortable hostels, with regional cuisine, making this adventure an unforgettable experience. 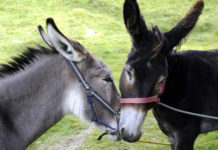 We look forward to discovering the wonders of the Alps with you! First day:Meeting point World big square in Alagna Valsesia at 7.15 am.We begin our first day trekking from Alagna to Macugnaga through “Parco Naturale Alta Valsesia”, the highest natural park in the Alps. 7 ½ hours. 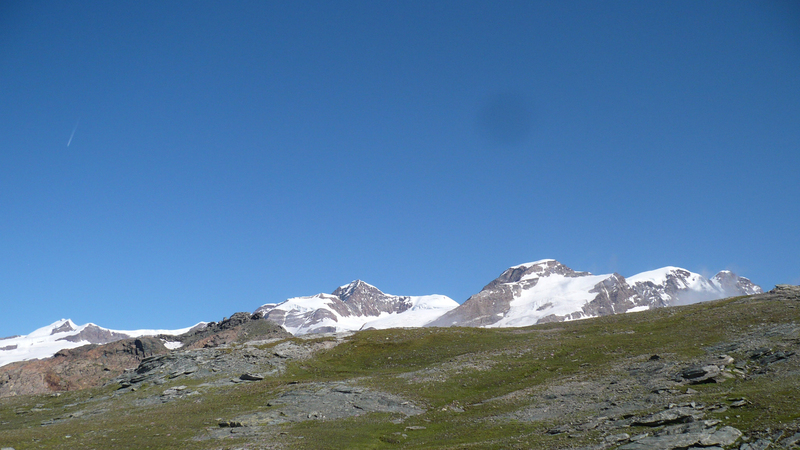 1200 m – 4,100 ft rise, 1550m – 5,100 ft drop. 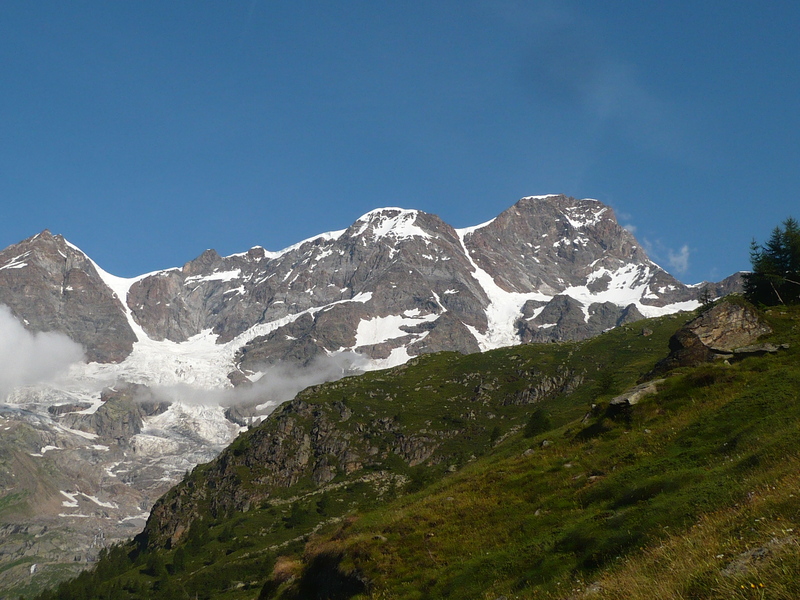 Second day: we walk up in the valley to visit the village of Macugnaga and view the huge East face of Monte Rosa. 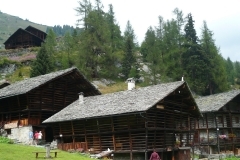 We then take the cable car to Monte Moro pass and walk down in the beautiful Saas valley (Switzerland). 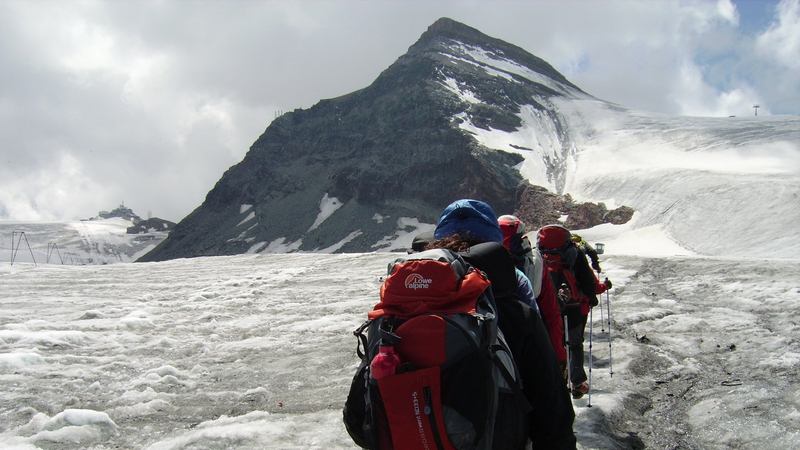 We then make our way up to the famous village of Saas Fee and then transfer by minibus to Zermatt, at the footsteps of Matterhorn. 6 ½ hours. 300 m – 1,000 ft rise, 1200 m – 4,100 ft drop. 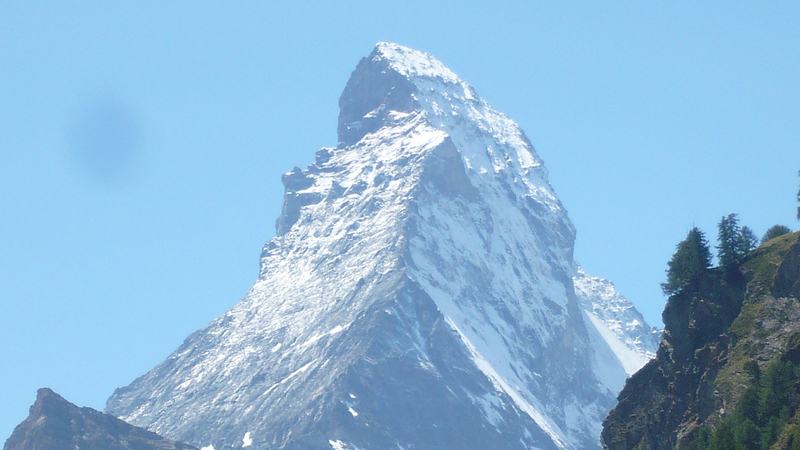 Third day: we spend the entire day with “the most noble cliff in Europe”, the Matterhorn, in front of us. 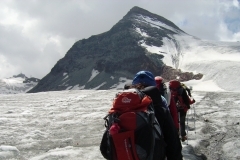 We ascend to the glacier before crossing it, then we reach Theodul pass and our mountain hut. 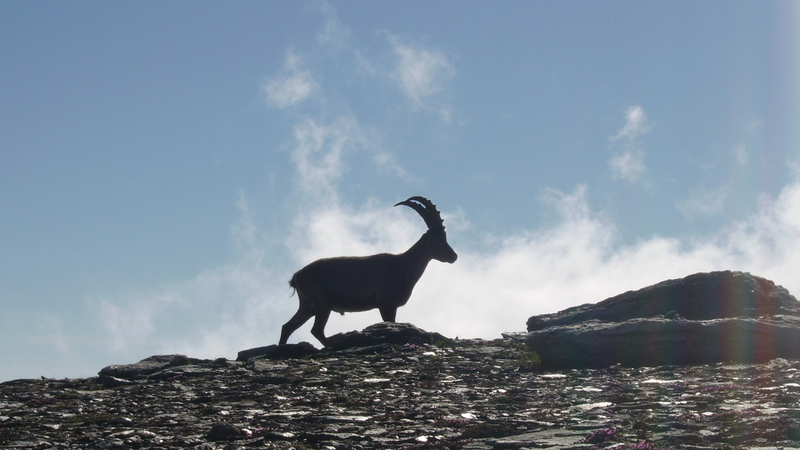 This is the highest point of the trekking ( 3,301 m – 10,830 ft ), with incredible views. 6 ½ hours. 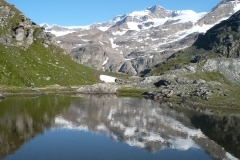 1700 m – 5,600 ft rise. Fourth day: we make our way through the Cime Bianche pass, down into the Ayas valley to the small village of Resy: extremely beautiful. 7 hours. 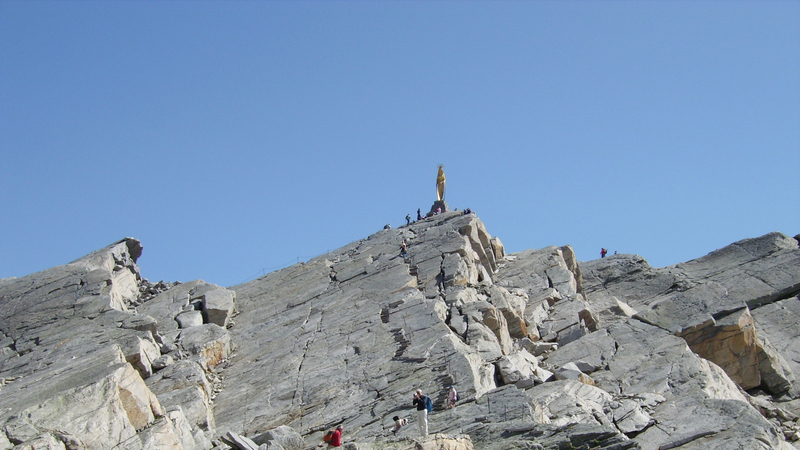 400 m – 1,300 ft rise, 1600 m – 5,250 ft drop. 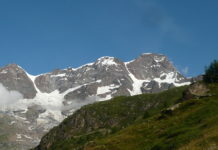 Fifth day: today we will cross the Rothorn pass to reach Gressoney valley. 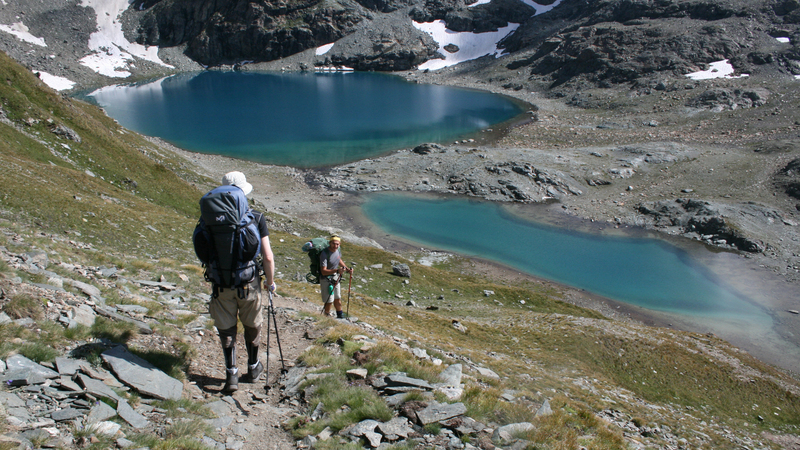 We will then ascend to Gabiet lake and the mountain hut. 7 hours. 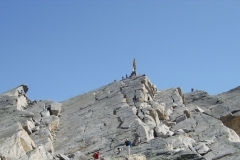 1050 m – 3,450 ft rise, 850 m – 2,800 ft drop. 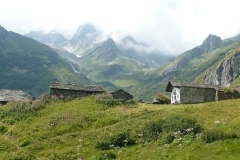 Sixth day: on our final day we arrive back to Alagna (Valsesia) after crossing the wild Zube pass and the wonderful Otro valley, with its medieval mountain villages. 6 hours. 500 m – 1,650 ft rise, 1700 m – 5,600 ft drop. Please note that the properties shown are representative of the accommodation we use on this trip and are subject to change. 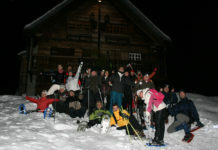 International airfare; transfer to/from Alagna; personal insurance; lunches; sodas and alcoholic beverages. 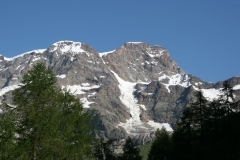 Should you require, we are able to organize your transfers from the airport to Alagna and back. 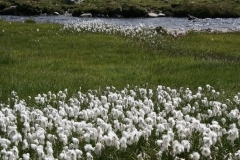 We are also able to book your accommodation for the nights before and after the trek. 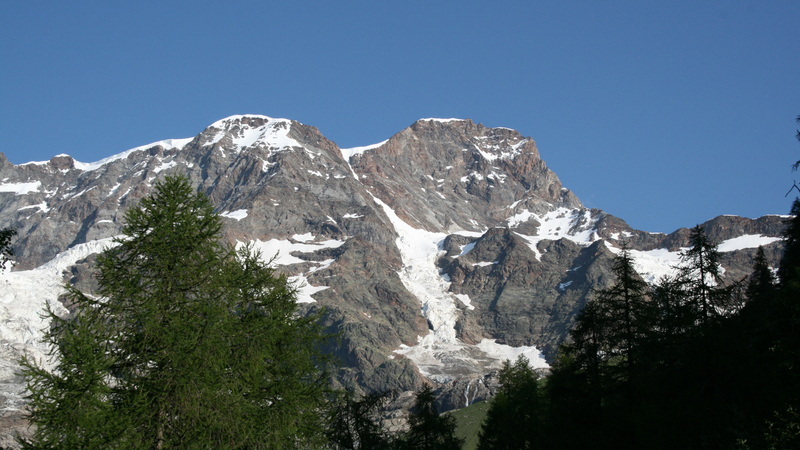 WARNING: The Monte Rosa – Matterhorn Tour has a low-level difficulty. 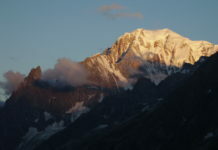 The Small and easy Theodul Glacier will be made as roped party led by a UIAGM-qualified guide. 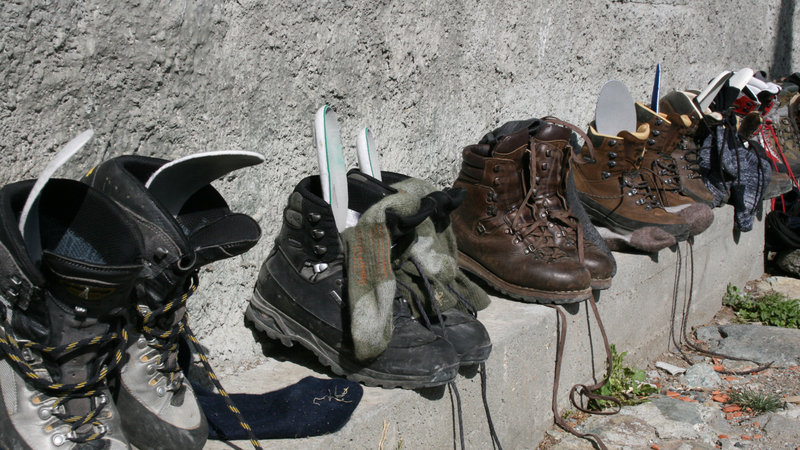 Please take into account that the walk will last 6 days going through considerable differences in altitude. In some stages these differences in altitude and some distance can be shortened by using ski tows (ask for more details). 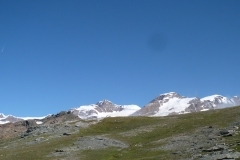 We live at the foot of these mountains and we are extremely knowledgeable regarding the area. We are more affordable and more experienced than many other companies. 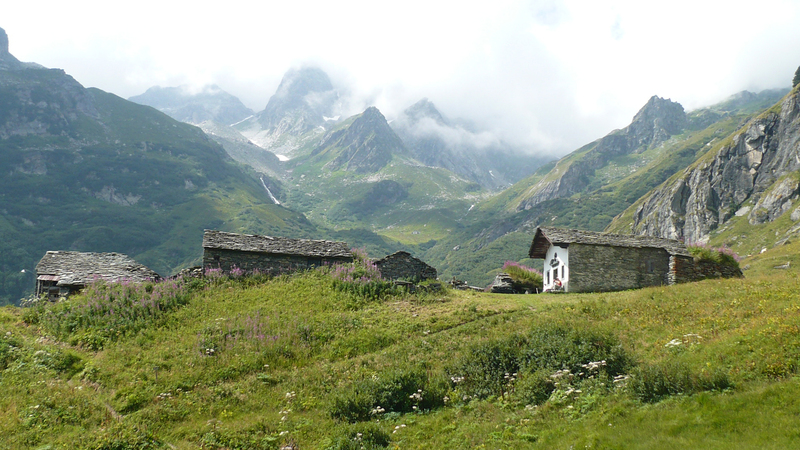 WHERE IT IS: the trek begins and ends in Alagna Valsesia, in Italy – look at Google Maps. 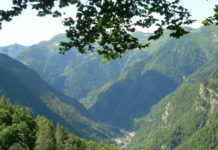 This is 150 km from Milan and 160 km from Turin. 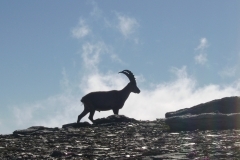 HOW TO BOOK: just send us an e-mail at info@mountainplanet.net at least three weeks before . 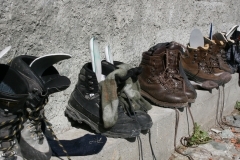 CLOTHING AND EQUIPMENT: Good sturdy walking shoes are necessary (we do not recommend using new shoes, that could hurt!). 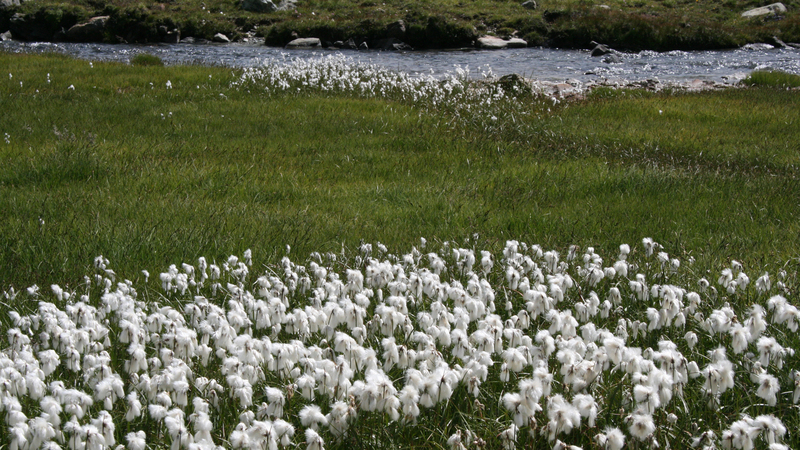 Clothing should be comfortable, warm or cool depending on the temperature: we advise dressing in layers (underwear T-shirt, longsleeved shirt, fleece) with technical material which dries quickly. 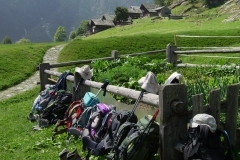 A good backpack is essential, a waterproof jacket and overpants, gloves and warm hat, sunglasses and cream, a water bottle, emergency food (some energy bars) and something to eat for lunch on the first day. Also do not forget the need for personal hygiene, wet wipes, a towel and a sheet bag. 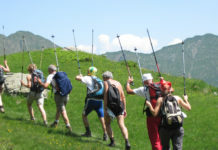 Telescopic trekking poles and gaiters are recommended.